EXCLUSIVE! Give someone a hug. 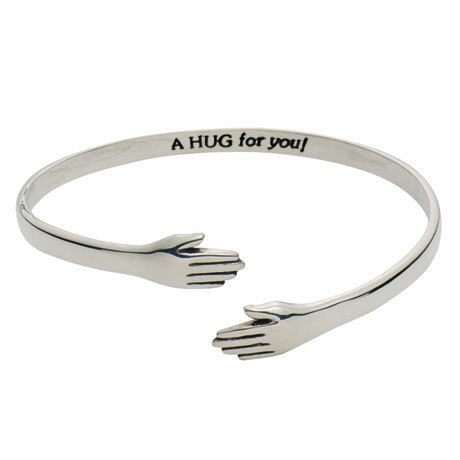 The bracelet is engraved inside with "A Hug for You" -- words only for the wearer. Whenever she sees them, she'll think of you and know you care. About ¼" at widest point, bracelet is 2½" diameter (standard size). In sterling silver or stainless steel.